Come and experience Thai boxing in this trip. You'll learn how to do the uppercut, and punch and kick like a real Thai boxer. After the Thai boxing class, you'll get a relaxing Thai Massage. Bring you to MTF (Muay Thai Fight Club). Change your clothes, and get ready for 2 hrs of boxing. 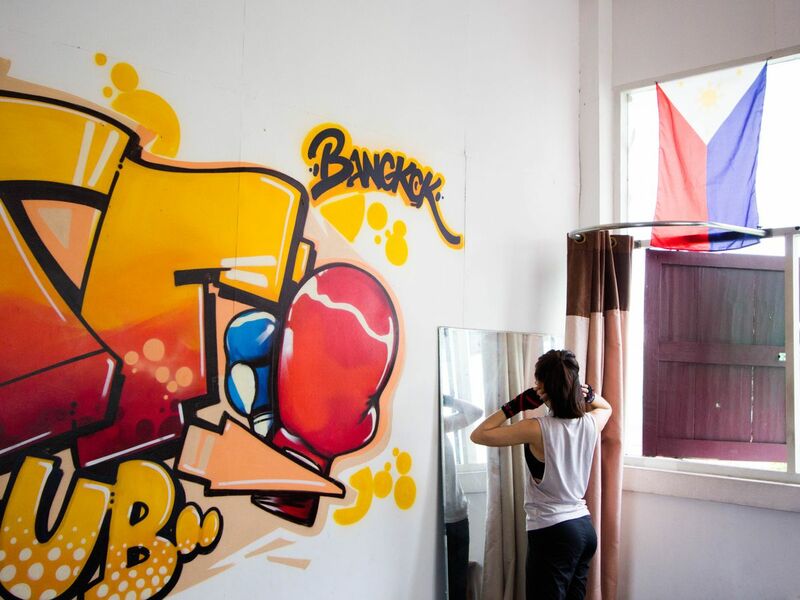 Here, you will practice advanced Thai Boxing, and train with the top boxing trainers in Thailand. We have a program for children aged 4 to 15 years old. Cool down and let's have some lunch. Enjoy local Thai Food in the area. After boxing, the best thing to do is to enjoy Thai massage. I know one place that looks ordinary on the outside but the massage is very professional. Let's relax. Let's get ready to go back to your hotel. Arrive at your hotel and say goodbye. In this trip you will get learn Thai Boxing from top of Boxers trainer in Thailand and even get an original Thai massage after the end of the class. Shorts, t-shirt and small towel. Excellent trip, well hosted. Made sure we did not overpay for anything. Took some great photos and communicated well over WhatsApp. Thank you so much for your review. I happy that you enjoye my tour. Wish you have a great time in Thailand.